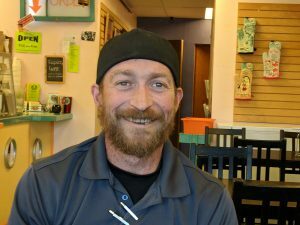 Two small business owners in Grand Junction are fed up and ready to start a new organization that will do what they thought the Grand Junction Area Chamber of Commerce was supposed to do: boost small local businesses and improve life in town for those struggling at the lower end of the income scale. 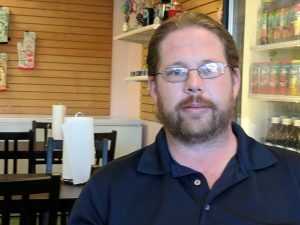 Shawn Carr, a technology specialist who owns GJ Computer Center, and Billy Jacobs, owner of XZRT Gaming on Orchard Mesa, say the Grand Junction Area Chamber falls far short of providing local small businesses what they really need. To illustrate this, Shawn tells how he recently attended a Chamber event billed as a way for businesses to promote themselves to other businesses. He brought a pocket full of business cards to the event, but when he got there found every booth but one represented a national or international conglomerate based outside of town. He ended up handing out only one business card, and walked away thinking it’s time someone did better than this. 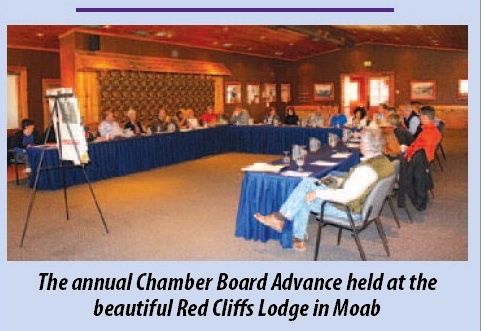 Photo of 2013 Chamber Board meeting at a lodge in Utah, printed in the Daily Sentinel. In it’s regular Monday full-page ad the November 25, 2013 issue of the Grand Junction Daily Sentinel, the Chamber boasted it had held its 2013 “annual Chamber Board Advance” meeting at the “beautiful Red Cliffs Lodge” in Moab, Utah — a resort not just out of town, but clear out of the state. In 2014, the Chamber added a new “Save Local Now” page to it’s web site, but hired an out-of-state web developer to create the page, even though there are many professional web developers in town who would have loved the opportunity to design it. The Chamber openly encourages people to shop at big box stores that funnel local dollars out of town, and follows it’s own advice: When it needs gift baskets, the G.J. Chamber shops at Hobby Lobby instead of the smaller, locally-owned gift and craft stores. In 2015, the Chamber urged voters to approve Referred Measure 2B, which would have extended the Riverside Parkway along 25 Road. Almost all businesses on 25 Road strongly opposed the measure, saying the City blindsided them by failing to let them know measure even existed until it was safely scheduled to go on the ballot. The business owners also opposed 2B because it would have let the city seize land fronting their businesses, and subjected 25 Road to an extended construction period, harming their businesses. Still, the G.J. Chamber supported the measure. In 2016, the Chamber admitted it had never even considered helping to get legal retail marijuana businesses established in town, even though Colorado’s new marijuana economy by this time had a solid track record of creating high-paying jobs and boosting local economies across the state. Where it’s become established, retail marijuana business has also created a host of ancillary businesses in areas like agricultural equipment sales, security companies, professional jobs in the bookkeeping, accounting and legal areas, and in tourism-related jobs. But it never occurred to the chamber to encourage such economic expansion here. In 2017, the Chamber’s spearheaded a disastrous effort to change the name of North Avenue to “University Boulevard,” which, had citizens not driven it down in flames, would have cost business owners on North Avenue a fortune and created logistical problems for them that would have taken years to resolve. All these and many other things the G.J. Chamber has done over the years, Billy and Shawn say, show the chamber doesn’t really care at all about small, locally-owned businesses and the realities they face. They say the G.J.Chamber is just a political handmaiden to a few bigger, well-off businesses in town who agree with it politically, and say it consistently fails to act in the interests of individual entrepreneurs in town who are struggling to make their small businesses thrive. They also are upset that the chamber hasn’t done anything to help people who are working for extremely low wages. “We want an organization that will actually listen to small business owners about what would actually help them, and then carry through with that,” Shawn says. Shawn and Billy say their new organization would host events that really do showcase local small businesses, and not national conglomerates. They want a monthly newsletter that will spotlight local small businesses, and that will provide opportunities for business owners to promote their goods and services to other businesses. They also see a community with loads of potential, but that is greatly lacking, and suffering from a stark geographic divide. Shawn and Billy note that “All the money for improvement has flowed to the west side of Grand Junction. They put tons of money into rebuilding First Street, Seventh Street and the west end of North Avenue, but the east side of town is suffering. I can understand neglecting Clifton because it’s outside the City, but Orchard Mesa is INSIDE the city and we STILL have no sidewalks,” they say. “The east end of North Avenue is also still neglected. There are no sidewalks in that area and that part of town is losing businesses,” Shawn says. Shawn and Billy also want to make town more livable, functional and attractive, and add improvements that will help lure more businesses here to boost the local economy. 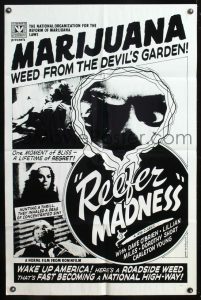 “We need retail marijuana. We need to open up the irrigation canal banks that run through the valley to biking and walking. We need recreation centers, we need sidewalks in Clifton and Orchard Mesa, and we need to get broadband internet here,” they say, naming just a few of the amenities they say Grand Junction sorely needs. Billy grew up in Grand Junction, graduated from high school here and then moved elsewhere, working jobs in other states for years. He finally came back to Grand Junction with his family to live a few months ago, and was shocked at what he saw. If you want to join Shawn Carr and Billy Jacobs’ effort, contact them at at Shawn@gjcomputer.com, or call Shawn’s shop at (970) 256-1925. Chamber of Commerce has been for a self serving good ol boys club for quite a long time, not just in GJ but in most cities and towns and lobbys powerfully to stay that way. They represent no one but themselves so I say go for it! And the ideas you suggest are focused on a future and not the past.